So first of all you will need alcohol. Vodka is best because it is odorless and colorless. 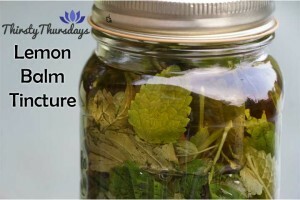 It needs to be 80 proof or 40% alcohol to prevent mildewing of your lemon balm in your mason jars. Get a mason jar and screw on lid. Make sure they are clean and sterilized. Running them through the dishwasher will sterilize them or you can boil them in water on the stove top. 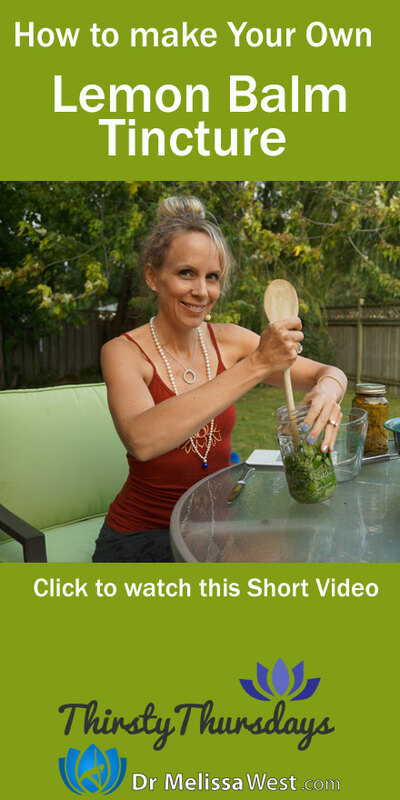 I filled my mason jars with lemon balm pushing them down with a wooden spoon to release the essential oils. Cover the lemon balm with alcohol. Seal the container and put it in a cool dark area for 1 month. After a month you can strain your mixture using a strainer or a nut milk bag. Then start the process again for another month for a doubly strong lemon balm tincture. You can top up your lemon balm with fresh alcohol if you need a little more liquid to cover your fresh lemon balm leaves. After another month you can strain your mixture and funnel your tincture into small glass bottles with dropper lids. This is ideal for dispensing your lemon balm. Lemon balm is known to be beneficial for anxiety, depression, stress, flatulence, indigestion and insomnia.